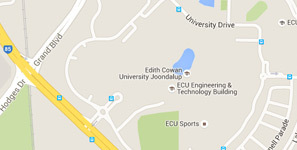 The Edith Cowan Athena SWAN parenting rooms help parents with returning to work or study. Establishing parenting rooms accredited with a 5-star rating by the Australian Breastfeeding Association, flexible child care arrangements, dedicated parking bays for staff on the school run and a career advancement scheme are just some of the new initiatives that have resulted in an Athena SWAN Bronze Award for Edith Cowan University (ECU). The University is one of only 15 organisations in Australia to be honoured with the prestigious status. This international accreditation program is managed by Science in Australia Gender Equality (SAGE), which is piloting the Athena SWAN Charter in Australia. Athena SWAN was launched in the United Kingdom in 2005 to advance the representation and progression of women in science, technology, engineering, mathematics and medicine (STEMM) and has since been adopted in Ireland, Canada and the United States. ECU Vice-Chancellor Professor Steve Chapman CBE, welcomed the award as a significant achievement in the University’s efforts to achieving diversity and equality. “We are honoured to be named an Athena SWAN Bronze Institution as it recognises our firm commitment to breaking down barriers to gender equality in all its forms,” he said. Professor Chapman has been a key driver of ECU’s Athena SWAN accreditation, having already been involved through previous university roles in the United Kingdom. He is also a Pay Equity Ambassador with the Australian Workplace Gender Equality Agency (WGEA). To achieve accreditation with SAGE, ECU underwent a rigorous two year process, which involved identifying the barriers to equality and devising practices, processes and actions to address them. Leading the program at ECU is Deputy Vice-Chancellor (Strategic Partnerships) Professor Cobie Rudd, who credits SAGE with helping to accelerate efforts at the University. “The SAGE Athena SWAN initiative has been a powerful vehicle for positive change,” Professor Rudd said. “Over the past few years we have put in place a number of strategies to address gender equality. “For example, we have introduced a range of initiatives to make ECU a truly welcoming and flexible place for those with parenting and caring responsibilities. The Scheme has already run three rounds and awarded 13 staff who have faced disadvantage as a result of parenting and caring roles. Grants can be used to help accelerate recipients’ careers with access to professional development opportunities or to kick-start research in science. The Scheme also recognises champions in gender equality at ECU – those who have influenced real change in challenging areas and visibly mentored and sponsored others facing gender inequities. ECU is also a Workplace Gender Equality Agency (WGEA) Employer of Choice for Gender Equality for its robust policies and strategies that redress gender inequities, including any gender pay gaps. .
To achieve gender equality, it’s about changing the environment, culture, attitudes and behaviours, with all staff and students benefitting from a more inclusive organisation. “It’s not about fixing the women,” Professor Rudd said. “We know that parental and caring responsibilities don’t just affect women so our initiatives, including parenting leave, are accessible by all genders. “We’re actively encouraging the many male champions we have on staff to help lead the changes. ECU’s commitment to equality and diversity is ongoing with new plans and projects already in the pipeline. “While the SAGE program focuses on advancing equality in STEMM fields, we are looking broader than this to ensure staff, and students, across all areas will reap the benefits of our endeavours,” Professor Chapman said.